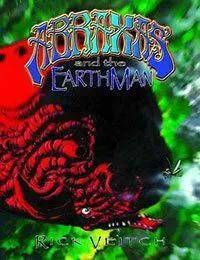 ABRAXAS AND THE EARTHMAN Rick Veitch's unforgettable 8-part EPIC MAGAZINE series is finally collected as one mind-bending full color graphic novel! Abducted from earth by space whalers, Cetologist John Isaac endures physical and spiritual mutation at the hand of the mad captain Rotwang. Pressed into the hunt for a monstrous red-horned whale, Isaac finds his own destiny in the belly of Abraxas.Collects the Abraxas and the Earthman stories from Epic Illustrated # 10 - 17.